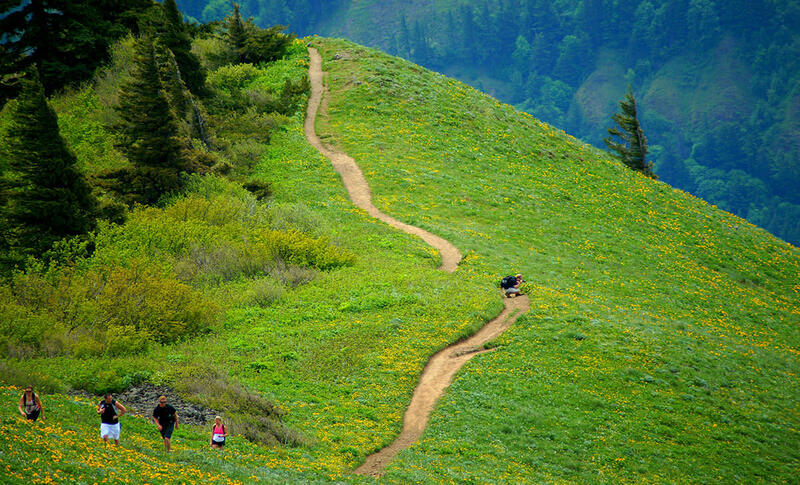 The panoramic views and wildflowers in spring have made Dog Mountain a Columbia Gorge favorite for hiking. 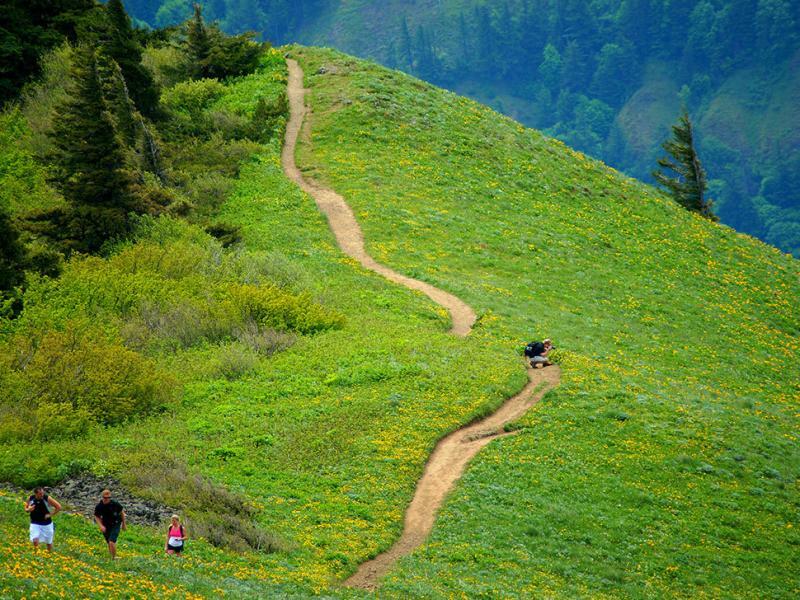 The six-mile hike offers a bird’s eye view of the Cascade Range and the Columbia River. Ranked as "difficult" and boasting a 2800 ft. elevation gain, it's a steep hike to undertake, but the view at the top will reward dedicated hikers.